Starting end of 2018, it will no longer be permitted to import old clothes to East Africa. With this new development, countries in the region want to encourage their own textile industries. 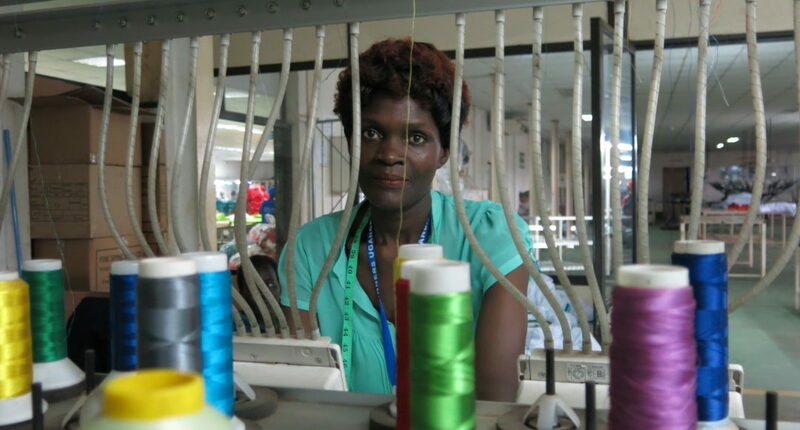 Seamstresses in Uganda are happy about the news. Through this, the fashion industry can provide more employment opportunities for women to be self-employed or to find work in factories. As the opening curtain parts with the first model entering the runway, a wave of hushed tones roll through the audience. 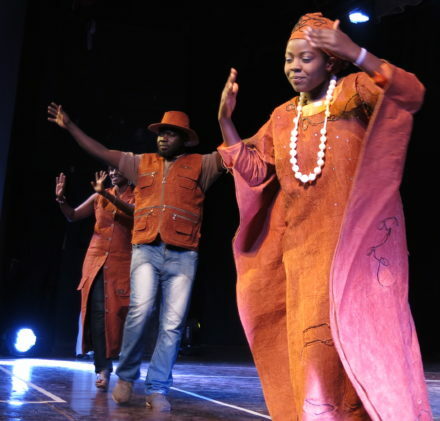 A tall, beautiful women with chocolate-colored skin struts onto the stage of Uganda’s National Theatre. All spotlights are on her while drums keep rhythm in the background. The Burundian beauty queen is modeling a knee-length dress made of a rust-color, fibrous fabric. The fabric was taken from the cork-like bark of a tree typical of East Africa. The „Bark Dress“ (right) is a creation of the well-known fashion designer Annick Kabatesi. The material is a bark cloth, more specifically a type of raffia bark traditionally worn by the Kings of the Tutsi ethnic group. This was before the colonial era when the European colonial rulers and missionaries forced African populations to wear cloth. “Returning to fashion and the textiles of pre-colonial times is an important step in the decolonization, even in the mind,” says the Burundian fashion designer Annick Kabatesi after the show. The 34-year-old entrepreneur is known far beyond the borders of her small, crisis-ridden country with her fashion label „Murundikasi”. She now sells her bark cloth collections online as far as Europe and to the United States. She is the star of the fashion show and receives the most applause. 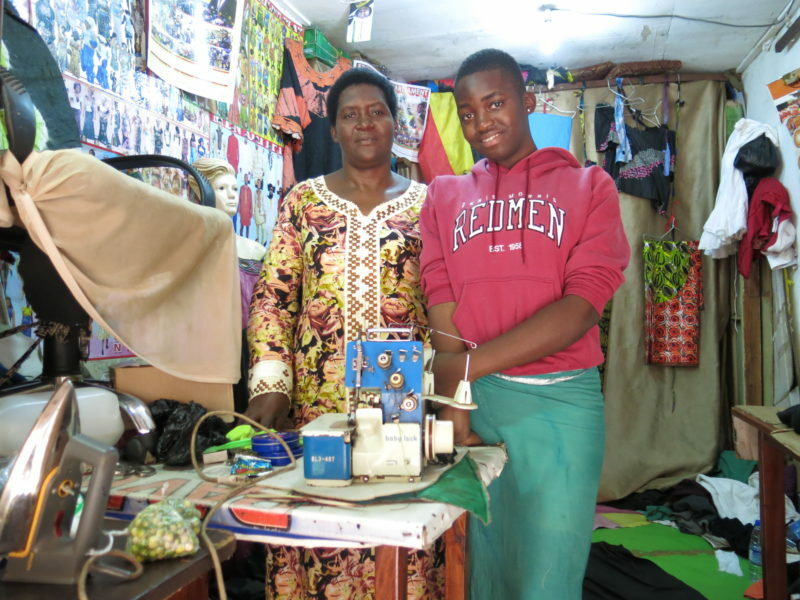 Kabatesi is considered a successful businesswoman. She is a flagship for an up-and-coming business sector on a continent where nice clothes and good style are status symbols – even more so than a cell phone or a car. Anyone entering a church or attending a wedding in Africa on a Sunday will see women in elaborately sewn dresses with matching headscarves in bright colors and patterns. However, these kinds of African dresses are really only worn on special occasions. Attire for everyday life, especially for the poor, farming communities, are second-hand goods out of donation containers from European relief organizations such as Volkswerke, Caritas, Kolping or Humana. From Germany alone, more than 750,000 tons of used clothes accumulate each year. The plastic elasticity snaps and rips as Carolina Nambuga cuts through the balled up packaging with a utility knife. The 22-year-old Ugandan unpacks her bales tied together with cling wrap. After another careful cut, a little pulling and more ripping, the contents fall out onto the dusty floor. “It is like playing the lottery. You never know what you get,” she says with a laugh. She dives into 50 kilos of crumpled up t-shirts, dresses, skirts, pants and shirts she just freed from the sticky packaging. Caroline Nambuga (center) sells old clothes in Kampala. Nestled between multi-story retail malls and the narrow, bustling streets of Kampala’s old town is the Owino Market – one of the biggest trading centers for second-hand goods in East Africa. Here, an estimated 50,000 vendors and traders can be found jostling goods on an area of roughly seven hectares. Many, like Nambuga, only have a wooden table or clothing rack to present their goods. Some save the money they would spend on a stand rental and carry around bras, bags, sheets, belts or scarves and shout out their prices. With a scrutinizing look, Nambuga arranges her goods: t-shirts and shirts in one pile, evening dresses and skirts in the another. The best clothes she hangs on hangers and the clothes with rips or broken zippers get thrown on the floor. „I’ll give that to the seamstress, she can fix that,“ she says, and continues to sort. 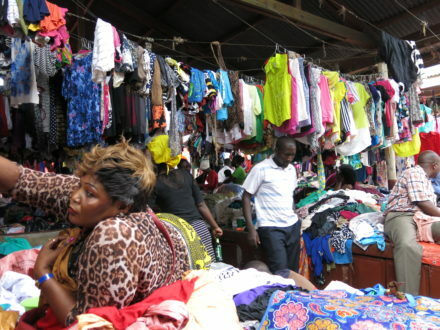 The Owino Market in Kampala is one of the largest trading centers for second-hand goods in East Africa. 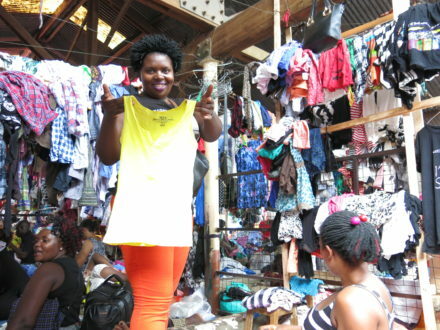 The Owino Market is only one of many stops until a second-hand t-shirt from Europe finds a new owner in East Africa. 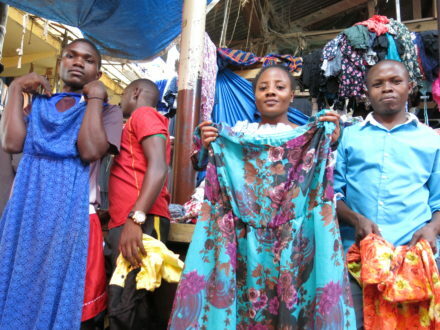 Nambuga continues to sell garments to her regular customers, mostly women. Some of these women have boutiques themselves along the street and it is there that the customer buys a dress. “They come from all over, from the most remote villages in Uganda, but also Rwanda, South Sudan or eastern Congo,” explains Nambuga. 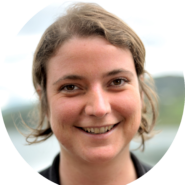 The young woman studied supply chain economics at one of Uganda’s universities. “The trade of handling used clothes is a really good business and creates a lot of jobs,“ she says. Moreover, used clothes are cheap, which means that even poor families in Africa can afford them. She calculates two to three euros for a t-shirt, „so that the poor children do not run around naked,“ she says. Now things are slowly changing and like so many traders in the Owino Market, she’s afraid of losing her job. Uganda is a member of the East African Community (EAC). Last year, the leaders of each state decided to phase out selected used imports such as textiles, footwear and leather goods by the end of 2018 at the latest. In the meantime, EAC countries like Rwanda, Uganda and Tanzania, which are promising a lot from this import ban, are increasing the import tax each year. The aim is to increase the demand for locally produced textiles and thus revive the regional textile sector. This move should not only boost the economy, but above all create jobs, explains Uganda’s Trade Minister, Amelia Kyambadde. “As we progressively increase taxes on used textiles, we are inviting investors and encouraging Ugandan companies to invest in textile manufacturing, because we have tremendous potential. 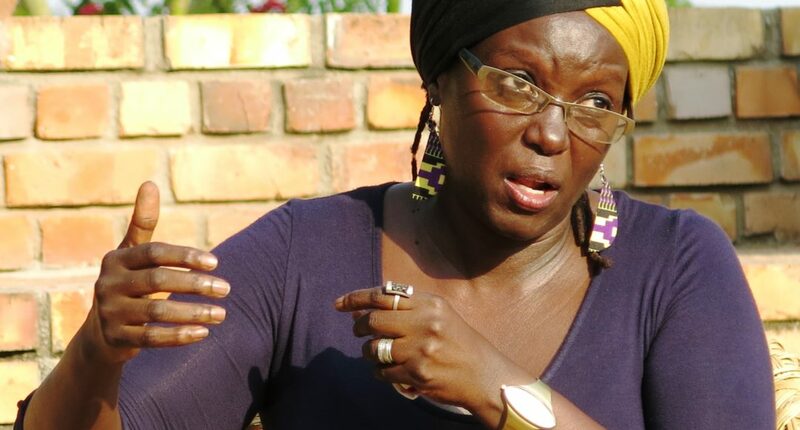 That’s the best way to create jobs,“ says Kyambadde. Joseph Wafula holds up a maroon t-shirt with the words “Cotton made in Africa”. The Ugandan engineer is standing in a huge factory building where fabric panels are cut to size, such as the curved-shape of a collar or sleeves. „Everything has to fit exactly, down to the millimeter. That way we produce as little waste as possible,“ says quality manager, Wafula. Yellow, green, blue and red t-shirts pile up on his desk. From the adjacent hall, you can hear the clanking of the spinning machines, most of which are from German manufacturers. The factory “Finespinners” is the most modern production facility in the country. It now employs more than 1,000 Ugandans, most of them being women. „Producing in Uganda was a strategic decision,“ explains Jasvinder Bedi, director of “Finespinners”. „We shut down production in Kenya and moved to Uganda because we wanted to be closer to the cotton fields to reduce transportation costs,“ he says. The Kenyan has Indian roots and grew up surrounded by the family business. They have been producing textiles in East Africa since colonial times. „Ever since Indian and Asian textile manufacturers began producing more for their own market, European and American clothing chains are again looking for manufacturers elsewhere in the world,“ he explains – for example, in Uganda. This woman has found a suitable t-shirt on the Owino market. The German manufacturer „S.Oliver“ from Lower Franconia has recently ordered t-shirts as a test order: „In order to get to know the supplier,“ according to S Oliver’s spokeswoman, Carolin Mäder. The press department from the Otto Group also confirms that they buy part of their t-shirts from Uganda. „The continent of Africa plays a special role for the Otto Group because of the ‘Cotton Made in Africa’ initiative,“ says Nicole Sieverding, spokeswoman for the Otto Group. This initiative was launched in 2005 under the foundation „Aid for Trade“ in Hamburg by company founder Michael Otto. Following the 2013 collapse of the Rana Plaza factory in Bangladesh, which claimed the lives of more than 1,000 people, the cruel working conditions and child labor in Asian spinning mills became public in European media. Manufacturers such as the Otto Group with their textile brands Otto and Bonprix have therefore moved on to East Africa, Ethiopia and Uganda. Here, workers are even cheaper than in Bangladesh. Also, the supply chains from the cotton field to the finished t-shirt are easier to monitor, according to Tina Stridde from the „Aid by Trade Foundation“. The distance from the cotton field in Kasese in West Uganda to the factory is about 600 kilometers. A big sign hangs at the entrance gate of „Finespinners“: No child labor. The cotton-made-in-Africa initiative guarantees transparency for customers, says Otto Sieverding: „Looking ahead, however, the goal must now be to further build the processing chain in Africa so that the continent not only supplies raw materials, but also participates in their further processing.” “Finespinners” is supposed to be a good example for this developmentally important aspect. Women in Uganda are especially pleased. 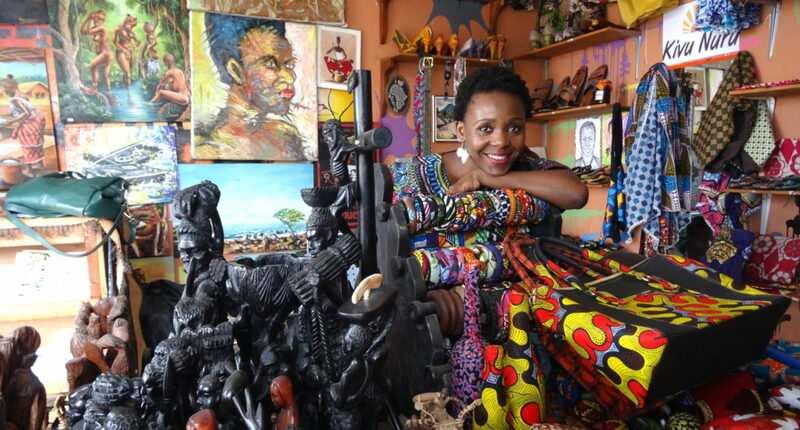 The import ban creates work, like for the seamstress Pauline Nabukeera. She puts a piece of colorful fabric under the foot of her sewing machine and hits the pedal with her own foot. With delicate zigzag stitches, she sews on the sleeve of a dress a customer ordered for a wedding reception. Nabukeera’s 17-year-old daughter, Patricia Nabunna, sits next to her and cuts the cloth from which the skirt is to be made. Seamstress Pauline Nabukeera (left) with her daughter Patricia. 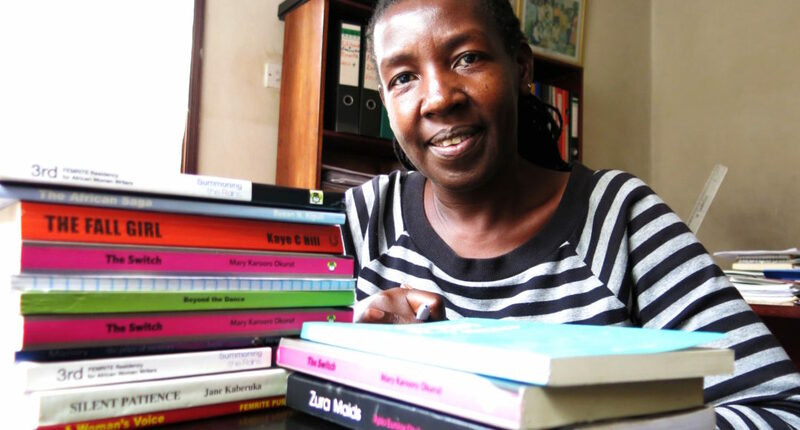 Nabukeera works in Kampala’s poor suburb Kamwokya. Her well-run tailor shop is not her only venture. She also runs a small vocational school called „Parovic“. Nabukeera trains over 20 young seamstresses in shifts. Their tasks are not only patching holes in cheap t-shirts, but also making traditional wedding dresses and the Ugandan-style capes, „Kanzu“, for men. Nabukeera smiles contentedly because she is her own boss and has plenty to do in order to send her children to school. „Being a seamstress is a really good job for us women, because I can take the baby here to my workshop, the clients always have an occasion, a wedding or a funeral to which they need something. I earn well,” she says. This is a rarity on a continent where the majority of young people and even the most educated struggle to find work. Starting during the colonial times, and more precisely since 1903, British colonialists planted cotton in Uganda. It was then spun and woven in neighboring Kenya and shipped to Liverpool, the largest port in England. From Liverpool it would continue on to Manchester which was the heart of the English textile industry of that time. From 1930, Indians who had originally been brought to East Africa by the British to build the railroad, invested in the first spinning mills in Uganda itself. Cotton processing boomed well into Uganda’s 1962 independence. In 1972, the dictator Idi Amin threw the Indians out of the country and it was during this time the economy collapsed and along with it, the textile sector. Since then, there have only been three spinning mills in the country for a long time, mainly producing uniforms for students, police officers and soldiers. Thousands of jobs were lost. Uganda’s cotton was largely exported to Asia unprocessed and would instead be woven in Bangladesh or Thailand. Looking forward, according to Uganda’s industrialization plan, manufacturing should once again create jobs in Uganda – especially for women.